While Easter might be coming early this year, that’s no excuse to wear something dark to church or other functions. Rather, I advocate that you brighten up your Easter Style. 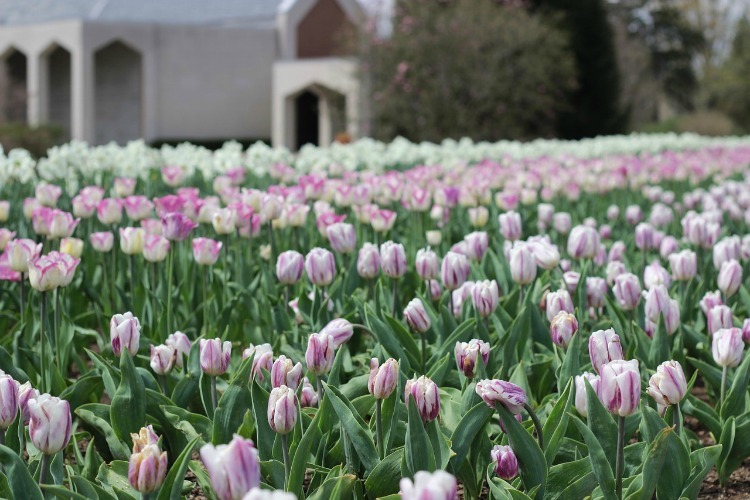 Hey, the flowers might not be in bloom yet, but you can bring both light and color to the room with you. Now, I normally like to do a mini fashion shoot for my StyleHOP posts each month. However, computer woes and a sudden burst of snow the other day here in Alaska had me reconsidering that option. Instead, I’m pulling together some ideas from a few of my favorite fashion sites that you can easily integrate into your wardrobe. When you were a child, did you mom make a trip to the store to buy you a new dress just in time for Easter? I know we did and I’ve carried on that tradition in my house when the boys were younger. Only they got a new ‘suit’ styled outfit instead of a dress. A new dress is something I love to do for a special occasion like Easter Sunday. Then, I can enjoy the same dress throughout the warm weather months whether I am wearing it to church, a wedding, or date night. If you are a plus size lady like I currently am, then definitely check out the Easter Outfits for Plus Size Womenn over at Kiyonna. They have not only dresses but some cheerful tops that can partner with a skirt or slacks from your closet. I am really drawn to the Lavish Lace Dress which comes in either a bright pink or blue. The dress is gathered at the natural waist and has a surplice neckline which gives this dress a unique faux wrap look. Also designed with a lovely lace illusion neckline and A-line silhouette, this cocktail dress was made to flatter in more ways than one. Alternatively, you could order up the Ciara Cinch Dress in Marigold with a statement necklace or a pair of strappy sandals for a girly flare. Another awesome place for a new dress is Karina’s Spring Collection. 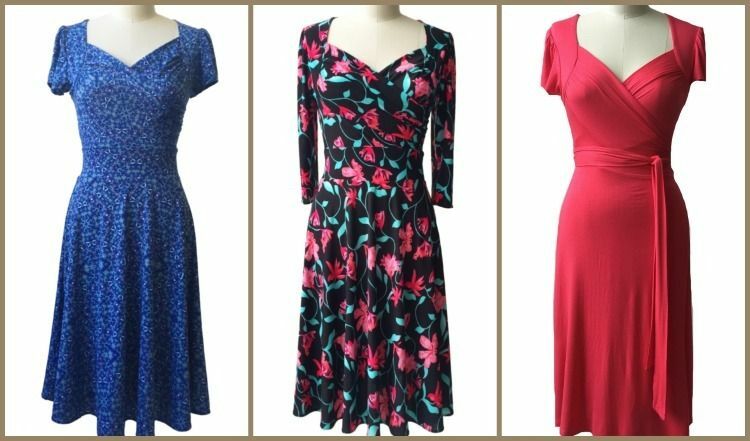 The Trudy dress features a sweetheart neckline with full coverage and a knee length skirt which is a full swirl skirt. They have several pattern options for the short sleeve with just pink lily for a 3/4 sleeve. 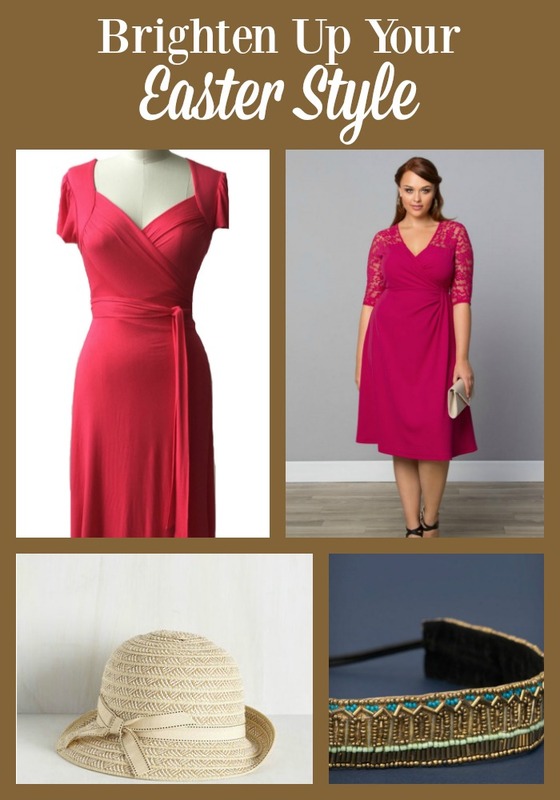 Similar in style is the Gala Wrap Dress which comes in a stunning coral color. Maybe you have the perfect outfit you’ve worn in the past and want to just give it a new feel. Well, accessories can definitely help you out there! It is amazing how a new piece of jewelry, handbag, or the way you wear your hair can make all the difference. With my long hair, I like to find ways to keep it off my face. 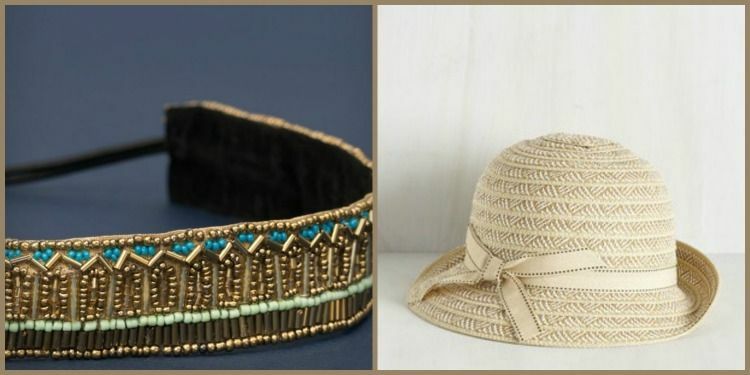 This Beaded Beauty Headband can go dressy or casual in my wardrobe and keeps me looking neat. If you want to embrace the idea of a new Easter bonnet, then this Cloche the Gap Hat from ModCloth can work with a variety of outfits. Finally, I find that some new nail polish or a palette goes a long way to making everything seem fresh. I highly recommend checking out Julep for both. 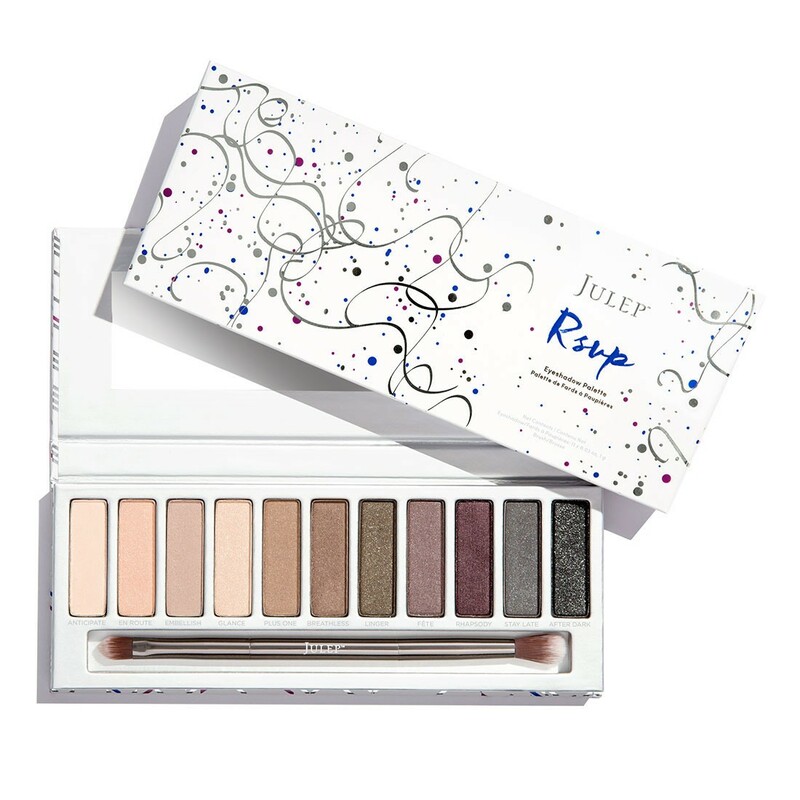 You can even save 20% off your purchase using the code LETSGET20 or go for a different bargain such as Join Julep and get the bestselling RSVP eye shadow palette FREE ($54 value) You can only use ONE offer, though, so pick the one that is right for you! I’ll admit to totally loving the colors in that palette…..
How do you brighten up your outfit for Easter? Or do you like to start from scratch each year? I love Karina Dresses! The fit great!